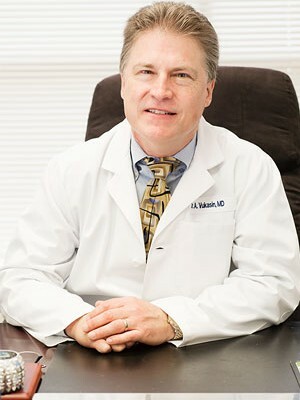 Dr. Alexander Vukasin completed his undergraduate degree from Cornell University and his medical degree from Yale University School of Medicine. 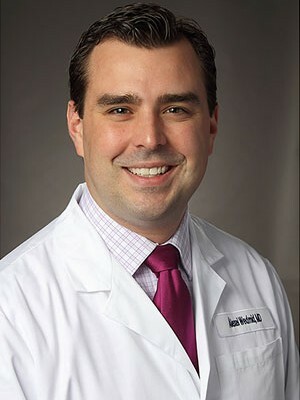 He completed his surgical internship and urology residency at the New York – Presbyterian/Weill Cornell Medical Center. He has published and presented numerous articles on urological disease and treatments, and frequently lectures on various urological topics. 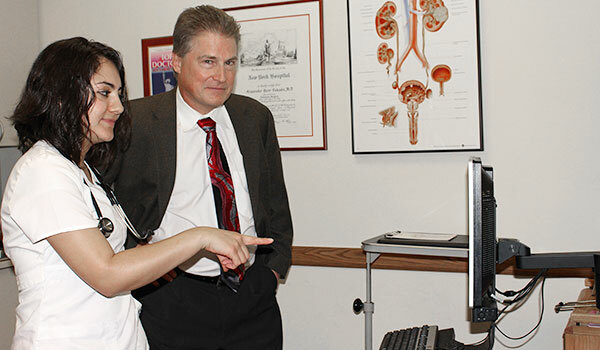 Dr. Vukasin is a member of the American Urologic Association and a fellow of the American College of Surgeons. During his training at Weill Cornell Medical Center Dr. Vukasin conducted research involving laparoscopy in the world of urology. He later returned to further train with the laparoscopic kidney surgery and transplant program. 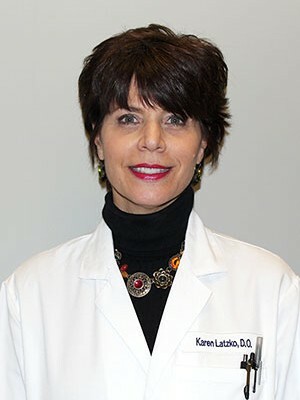 In 2009, Dr Vukasin undertook additional training in the use of the da Vinci Surgical Robot and was instrumental in introducing this technology to the University Medical Center of Princeton. As a robotic surgical team Drs. Vukasin and Wedmid regularly perform radical and simple (benign) prostatectomies, radical and partial nephrectomies and kidney and ureteral reconstructions. This technology is at the forefront of treatment for prostate cancer, BPH and kidney and ureteral cancers. 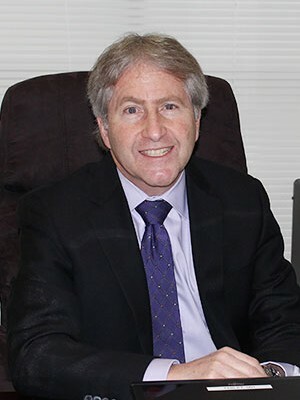 Also during training at Weill Cornell Medical Center, Dr. Vukasin worked closely with Dr. Marc Goldstein, a world-renowned specialist in male infertility. Dr. Vukasin has continued this interest by performing microscopic vasectomy reversals, microsurgical varicocelectomies and no-scalpel vasectomies. With an aim to provide the most up to date medical treatments, he also provides medical implants for testosterone, non-surgical treatment of Peyronie’s Disease with injectable therapy (Xiaflex) and Interstim implantable sacral nerve stimulators for the most difficult bladder control issues.